As we mentioned some time ago, we’ve been working on an Index of Mx Things — which we’re almost ready to unveil — but in the meantime, we’ve found two more Mx place names, both in CA, that we’d love to gather some historical insight on. Though they’re spelled the same, the fact that they’re about 460 miles apart, makes us suspect that that they’re not named for the same person, family, business or organization. But so far, we've hit a brick wall as to how they got their names. 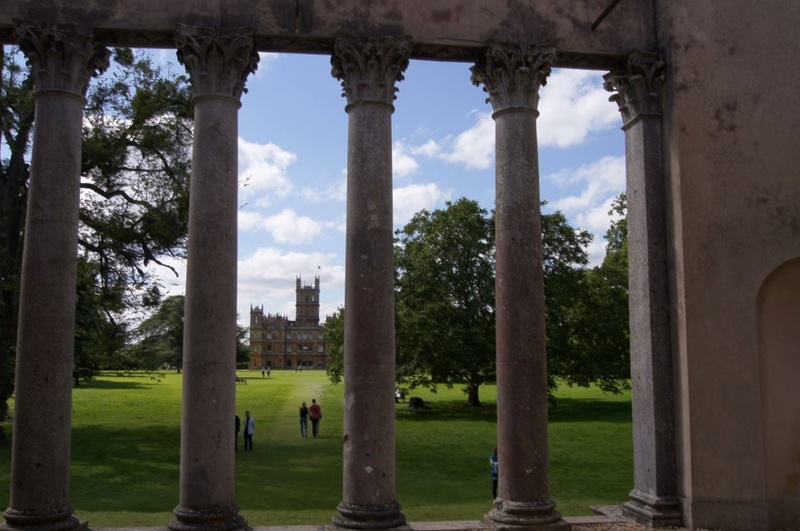 Do you know the history behind these two places? If so, please let us know. For some time now we’ve been saying that we’re gonna be debuting a new feature on our IMFA Homepage. Well the time has come. Admin Shirley Grey has been helping me with my brick Wall, my g g grandmother Mary Molyneux b c1829 Ormskirk, who has now turned out to be Martha Molyneux b 1826 Liverpool parents John Barnes Molyneux and Margaret Cummins. This has been an absolute nightmare for many years. If anyone is related to this family, I will be happy to hear from you. I keep finding this woman when I research Mary Workman died Molyneux same yr. She was a widow previously before marrying into the Mx line. Her father was John Workman, her married name at the time of her death was Jackson. I have a family letter on this. My Martha/Mary died Hegney in Hackney in 1898. It was her father's death that put us on her trail, he died in Plumbe Street, the same one that Mary married from. But I understand how frustrating it is. Amanda, Sorry I don't think that’s enough for such a change in name and birth date and place there are no Moly's living in that street in 1841 or 1851 and there’s 24 years between father’s death and her marriage. Isn't it possible that my g g grandfather was lodging in the street at the time of their marriage?? Explain what you have that confirms her name change there’s a Martha living with Phoebe in 1851 in Ormskirk with her grandmother so Martha is still Martha in 1851 and it says born Liverpool, Martha's father was a bookkeeper your looking for a postilion, and they didn't drive the mail coach which is different from the post coach, there’s just so many if's and but's I can pull up several different possibles I even found one with a Margaret Winrow but following her through she doesn't look like yours. There actually isn't another explanation. There isn't a Mary baptised in Ormskirk with a father who was a postillion. There isn't anyone in either the 1841 or 1851 census with any of these descriptions. The Ropemaker idea came up by someone else as well, but there is no evidence of a change of occupation before 1854 because there isn't anyone with this occupation in the 1841 or 1851 census. So, have you found something else?? because I haven't. I didn't but you rejected it because it said she was married but there was no husband with her, could have easily been a mistake, she was born right time, right place and may have had an Uncle William as the Mary Anne with her looks like she is his daughter and a family that seems to be involved with horses. William is a shoemaker but looks like his father and brothers were blacksmiths. Again, like all explanations including the one above it's all ifs and buts!! If it was a mistake, how do we prove she wasn't married?? I think the only chance you've got of finding your Mary is a lot of hard work using a spread sheet with every Mary born about the right time on it and match information to each one. It may even mean buying marriage certs that you know aren't yours just so can eliminate them then what’s left could be yours. I haven't found a bap that matches, so was she a non-con? You need to find wills read them you might get lucky. I spent years and lots of money but I knew mine must have left wills I didn't know what the fathers name was but got there in the end with concrete evidence. Over 10 years I've looked at every Mary born. That is her marriage on Ancestry and I have a copy. There are no wills, James was in the Workhouse on a day trip out when he committed suicide. Phoebe was listed as Independent on the census that suggests there may have been some money, and I've found delayed probate for a John Molyneux who was a stationer in Liverpool he died 1847, Looking at deaths that may be Phoebe's husband. It looks like her husband, but there is no mention of Phoebe. My grandmother changed her name. Her mother died when she was three, her father couldn't look after her and her brother Sam, so they were forced to go and live with an aunt or two or three. Anyway, she ended up living with her mother's sister. She stopped using the name Hegney and took her aunt's last name of Parker which is on her marriage certificate. Well thanks to the confusion of someone who did some research in my family the one Molyneux family link I had found is not by blood but marriage. However, since via another family member I have links to the Spencers it should be only a matter of time until I find another link. Personal problems put my family research on hold for almost a year but I am back at it and trying to find another link. Hi Timothy, if you have Lancashire roots we can help there we have a Lancashire group. Hi Shirley ... I am interested in Lancashire Molyneuxs ... what is the name of the group? Sue I can also help you with the Molyneuxs here. I would have to look back through my 40 pages I have researched. So many from all over England. The Spencers were in Bedfordshire when they produced the ones who were my ancestors. I know there was some Lancashire somewhere in my family just not sure where. As a person with only 3 close living relatives just what I have done is overwhelming and I have barely made a dent. Just found it interesting that my dad, Joel Maxwell Molyneux, was born in Warsaw, NY, in 1927. Well I have been researching the Molyneux family we are from Surrey and Oxford and managed to reach the 17th century. Now I have stopped as interested in the social history and trying my maternal side which like you Timothy its proving a nightmare. So, keep plodding on as I hit a brick wall for some time then everything started to piece together. Good luck. My mother's side is all I have, I know nothing about my father. Bath NY, not England. The England connections are all from Connecticut and Massachusetts is the 1630's. Stratford Upon Avon is the only England town I can think of right now. Not looking at the files at this time. Mostly I have been doing trees and with the size of the families I can't use computer templates and on paper there isn't enough room for anything other than, name, date, and country or state they were born and died in. We are going to be coming over there in the Spring, once we have everything together. Find A Grave has most of our family on it. I was tracing our Spencer relatives last, trying to figure out what cousin Prince William is to me. There is a whole website that traces them out, the Spencer I am descended from was just after his family branches stopped being titled. Probably because they came here. Hello cousins. I've just recently started working on my Mullenix line, and have not yet been able to find much available verification. My earliest known Mullenix ancestor is my 4GG, William F Mullenix b. abt 1801 SC. Married Catherine V ? before 1830. They were living in Lawrence Co, AL from 1830 - abt 1850. They were living in Itawamba Co, MS in 1860. I haven't found a connection to TN for him, but I have a DNA match at 70cM/4seg, with someone who has an ancestor, Celia Ann Mullenix b. abt 1825 TN, supposed dtr of James Pleasant and Sarah ? Mullenix, living in DeKalb Co, TN. I also have a DNA match at 27.5/2 cM's with someone who's also a descendant of James Pleasant in TN. I'm interested in comparing information and DNA results with anyone who might know something about this line. Also, have members of this list completed the DNA testing? Have people uploaded to Gedmatch. Mulanix is a spelling often associated with the Elkridge Mxes (see Elkridge Mxes IMFA's article on same.) SC is the home of a number of associated Mx families that we in IMFA call the I2 Alliance (after their Y-DNA genotyping). There is a good deal of information collected on this group of families. It includes the Delaware Mxes who were thoroughly researched and written up by Marilyn Blanck. A link to her book is available at the IMFA website. Debbie, we have a legitimate match on Chromosome 7 my Rematch is A109376. From Book: Written in 1958 by Blanche Hamlett Baldridge " A Mullenix Family of Virginia, Kentucky, Ohio, Indiana, and Iowa"
....page 169 The Principal part of this record has been compiled from family records, with some information obtained through research of various county records. Have given first the Mullenix family followed by the maternal lines, the Lynchard and Talbot families. Origin: For information of the origin of the name, the early English and Irish families and the Coat of Arms, refer to "History of the Molyneux Families" by Nellie Zada Rice Molyneux. The name Mullenix (Molyneux) originated in France. Members of the family settled in England and eventually some of them went to Ireland. Our Mullenix ancestors came to America by way of Ireland prior to 1740. In that year, John Mullinax, wife Mary lived in Goochland Co. Va. where they were referred to as Scotch-Irish. An inventory is recorded in this county for John in 1754. Note: There was a Mullinax on the Mayflower. John Mullinax (7th Great Grandfather) came to America by way of Ireland prior to 1740. In that year, John Mullinax, wife Mary lived in Goochland Co. Va. where they were referred to as Scotch-Irish. An inventory is recorded in this county for John in 1754. Had 3 children; William, John & Mary. William Mullinax (6th Great Grandfather) b. in Ireland d. 1780 (? yo) Goochland County Va.
Archibald Mullinax served in the Revolutionary War as a soldier of the Infantry. Received a bounty land warrant. As late as 1794 He was on the Muster roll list of Pendleton County Va. under Capt. Wm. James Company, Militia. Several spellings of the Mullinax name were found on various documents, war records, Mollineux, Mullineaux, Mulleneux and Mulinx. Archibald was proven up in the National Society of the Daughters of the American Revolution under national Number 403073. Children; Archibald, Nancy, Rachel, John, Thomas, William, Benjamin, & Jesse. David Mullenix (3rd Great Grandfather) b. March 2, 1843 near Greensburg, Decatur Co. Ind. d. Dec 23, 1918 (75 yo) in Ottumwa Ia. m. April 11, 1867 to Rhoda Jane Kight in Ottumwa Iowa. David & Rhoda moved around lot they lived in Iowa, Nebraska, Washington, Missouri & California. Members of the United Brethren Church, David taught Bible School most of his Adult life. Children; John Wesley, Mary Jane, Martha Ellen, Sarah Lauretta, & Richard. 59-1 Jesse Birdis Mullenix b: June 29, 1892, Ottumwa, Wapello County, IA, d: Dec 11, 1949, (57yo) St Paul, MN Served in the U.S. Marine Corps, World War I. Saw action in France. m. ? in 1915 at St Paul, MN, no Issue. Was a Pilot who flew a plane all the time. Children: Tim, Berniece, John Alfred, Elizabeth, Owen, Wanda. m. Feb 10, 1944 to: Lorraine Elizabeth Cordon b. Feb 24, 1928 Bridgeport, Ct. d. July 7, 1990 (62 yo) in Milford Ct of Cardiac Arrest/Ventricular Arrhythmia's, Worked at Remington. Issue:60-1, 1-1-1 Sebastian Jeffry Mullenix b. May 7, 2001 in Milford, Ct, 11:30 am, 5 lb., 12oz. Issue: 60-1,1-1-2 Nathan James Mullenix b. June 29, 2004 in Milford, Ct, 10:30 am, 7lbs., 4oz. m.(9-11-2004) Danielle Gray b. April 15, 1974? Issue:60-1,2-2-2 Aiden Reese Mullenix b. 7-8-2010, Milford, Ct Time? 7lbs. 10 oz. I have this, maybe you can find some connection in there. Thank you Elaine, Susan and Andrew. I know that a number of my Mullenix line went to Missouri. I think my line included a James Pleasant Mullenix b. abt 1776 SC. Supposedly his parents were Richard Mullenix b. abt 1745 Sussex, Delaware and Eliz Poynter b. Delaware. I haven't yet verified this parentage - if, indeed, it can be verified. Dawn, I don't know if this is TX or TN, but there could be a connection. May I please have your Gedmatch number to see if there's a match. Also, do you know the names of your TN Mullinax ancestors? Thanks. My paternal grandmother is Mildred Mullinax Chandler Buttram Berry. I am on ancestry.com. I have done the DNA. I also uploaded my results to Gedcom. Mother Mary Lucille Mullenix born 1944 in Houston, Texas. Her father was John Mullenix whom I believe was born in Alabama. Her Brothers are Clyde Andrew Mullenix, James William Mullenix, Donald Wayne Mullenix, Charles Lloyd Mullenix and Sister Patricia Louise Mullenix. A question for everyone so we can see if we're on the same lines. What is your Gedmatch number? Mullenix started here in 1630 came over on the Primrose to do 10 years of hard labor he was on the wrong side of the queen. My mom's dad was a John Mullenix we believe he was from Alabama. He lived in Texas most of his life. John Mullenix my great papaw was Estile he lived in MO. 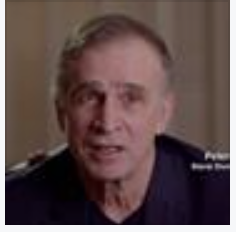 John Mullenix, have you taken the Ancestry DNA test and if so, uploaded to Gedmatch.com? It could be very helpful to try to connect the lines. John and Marie Vickery have you taken the Ancestry DNA test or if so have you uploaded to Gedmatch.com? I haven't yet but I do plan on doing it. As part of the Molyneux objects and artefacts. "Diaries and Papers of the Family of Molyneux of Sefton" | The National Archives. The official archive of the UK government. 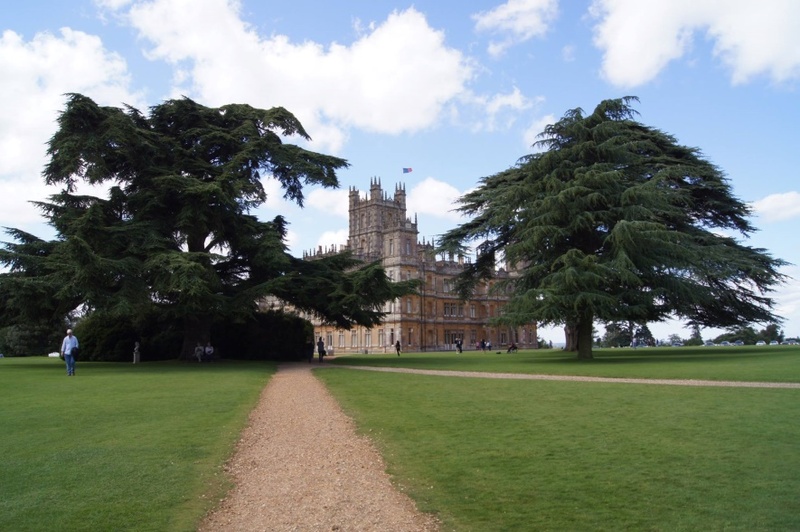 Was at the home of George Edward Stanhope Molyneux Herbert, 5th Earl of Carnarvon, last week. 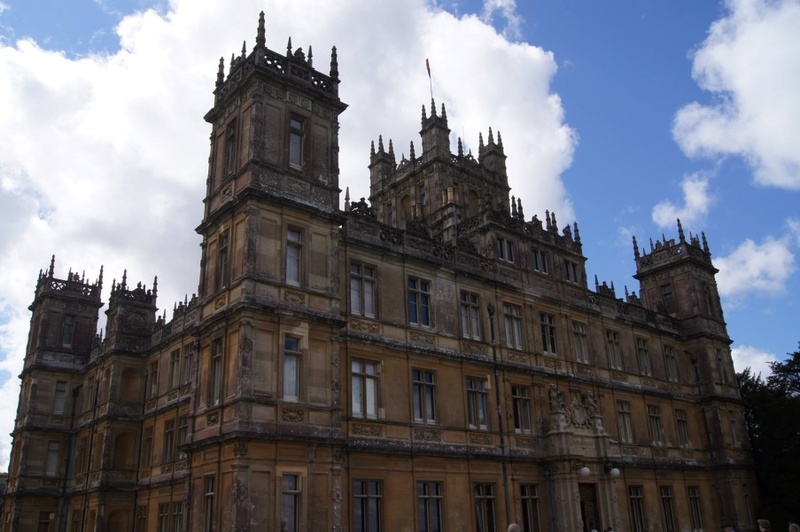 Also the setting for Downton Abbey. A little exciting to see more family history! My name is Mulanix! Interesting. The following are 3 examples of Molyneux (or variations) items I recently found in my research. You may or may not already have these for your Index Project. This is an article from the Torch Light and Public Advertiser. Published on May 6, 1823. 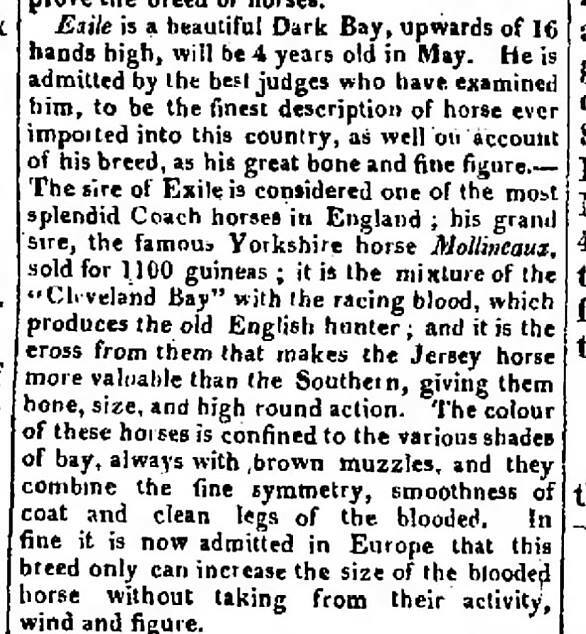 It mentions a famous Yorkshire horse, Mollineaux. 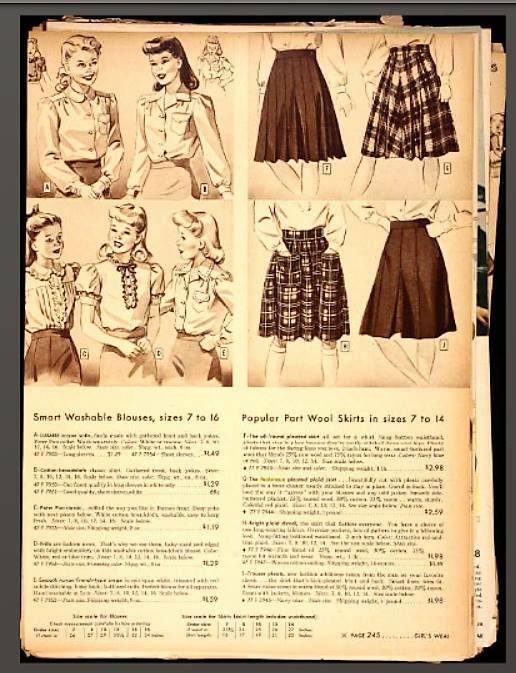 This is from a Sears, Roebuck, and Co. catalogue, published in the Fall of 1943. It mentions the Molyneux skirt and has a drawing of it. This is a current Molyneux item. 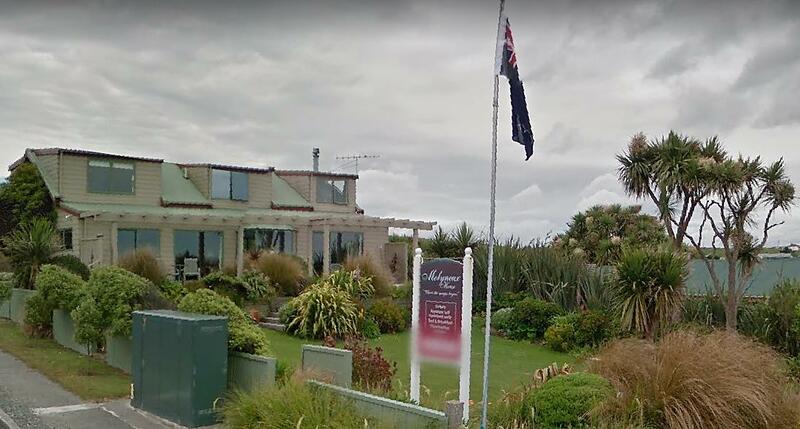 It is the Molyneux House located at 2 Rimu St, Kaka Point 9271, New Zealand. Website is molyneuxhouse.co.nz. Photo is a screen shot from Google maps. Irish documentary film maker, Des Kilbane just completed a film on Tom Molineaux, the Virginia slave who boxed his way to freedom. 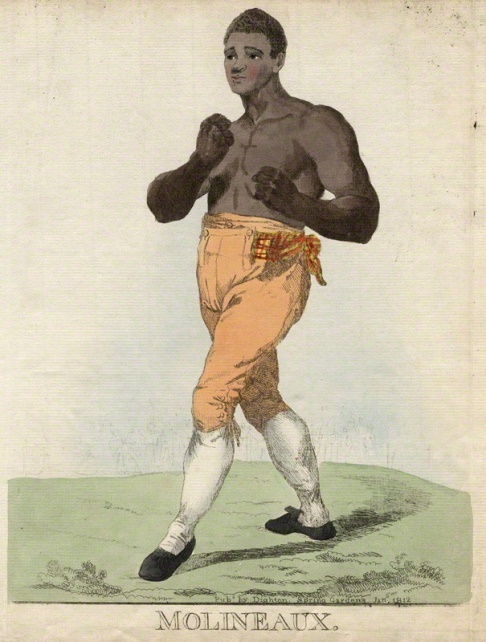 He fought for the unofficial World championship against English legend Tom Cribb in 1810. He is now buried in a pauper's grave in Galway on the West Coast of Ireland. Here’s a link to the film, Crossing the Black Atlantic. It is in the Irish language with English sub titles. Ahh, the link sends "Empty reply from server" on my Android phone stateside. Ken, I'm in the States, on a desk-top, and encountered no problems accessing the film. Thanks so much for this. Unfortunately the subtitles are not showing, so I can't get the full meaning of the movie. But VERY interesting that the Mx line has some "colour" !! I would have watched it but unable to understand, my laptop is going in for service so hope I can find this sort film when it is returned. That's funny Adrienne, I got the subtitles with no problem -- they're on screen rather than below and only show when the speaker is speaking in Erse. And Elizabeth, the post will still be here when you get your laptop back.